Athens.- Turkey is unhappy about a new monument in Thessaloniki marking the genocide of Pontic Greeks, Turkish Prime Minister Recep Tayyip Erdogan told Greek Premier Costas Karamanlis during a meeting in Vienna on Friday as Ankara steps up pressure in its disputes with Athens. The two men met at the sidelines of a summit of European and Latin American leaders. The meeting had been requested by Erdogan and he used it to raise a number of points which seem to be aggravating Ankara. The most significant of these was the unveiling last Saturday of the monument commemorating the deaths of hundreds of thousands of Pontic Greeks during World War I and in the Asia Minor catastrophe of 1922 at the hands of Turkish forces. Erdogan also broached the subject of the treatment of the Muslim minority in Thrace, northeastern Greece. 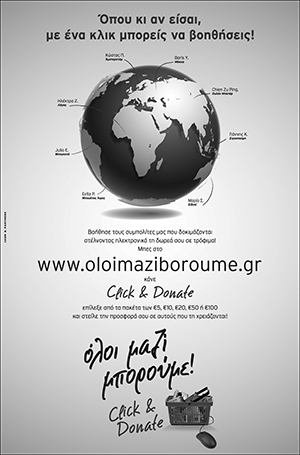 The Greek Pontian Federation calls on Turkey to apologize for the Genocide of Pontian Hellenism. In a press interview the president of the Federation, Giorgos Parharidis described as ignorant of history Turkish claims denying the Pontian Genocide and proposed the organization of joint scientific symposiums to present both sides arguments. The Pontian Federation expressed its displeasure over the Smirni Mayor decision to put off indefinitely the signing of the Thessaloniki-Smirni sisiter cities protocol following the unveiling of the Pontian Genocide monument in the Agia Sophia Square in Thessaloniki a few days ago. Pontian Federation of America President Elias Tsekeridis, attended the preparatory meeting, for the Pan-pontian World Congress, scheduled to take place July 6-9, 2006. Publicly, Karamanlis insisted that no new issues were raised during the 45-minute meeting, saying it focused mainly on economic issues, such as tourism. 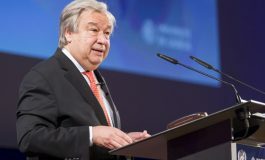 Meanwhile, it was revealed that Foreign Minister Dora Bakoyannis will attend a journalism conference on June 10 in Istanbul, where she will meet with Gul. 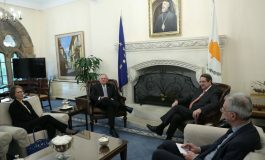 Commenting on the meeting to reporters later on Friday, Karamanlis said that the everyone would have to get used to the idea that such meetings and contacts would take place regularly and would not be major news. He said that the main focus of his talks with Erdogan on Friday had been economic, particularly on tourism and cooperation in the tourism sector. Regarding tourism, a moratorium on avoiding tension during the summer months that was agreed in 1988 between then Greek and Turkish foreign ministers Karolos Papoulias — currently President of the Hellenic Republic — and Mesut Yilmaz, is still in effect, although the issue was not broached during the Karamanlis-Erdogan meeting. Karamanlis called for the repeal of a 50-dollar duty imposed by the Turkish authorities on tourists travelling to Greece — even on a brief visit — from Turkey, and Erdogan replied that it was an “administrative matter” that concerned the state services, and promised to look into a solution. 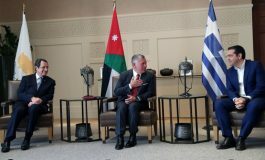 The two men also discussed the problem of long delays arising at the Evros River bridge on the frontier between the two countries, which are mainly due to bureacracy, and mulled the possibility of establishing a second bridge. Discussions also encompassed Greek-Turkish cooperation in the energy sector. Turkish minister of state Ali Babacan, who also attended the meeting, presented a briefing on progress in Turkey’s EU accession course, but the Cusoms Union protocol issue was not broached. Greek government sources, on condition of anonymity, told ANA-MPA that “Turkey is very much interested in showing that it is doing everything possible to fulfill the criteria set out by the EU. And let’s not forget that all these are also linked with the domestic political front”. The two sides further reiterated their volition for improvement of Greek-Turkish relations. Foreign minister Dora Bakoyannis is scheduled to visit Istanbul on June 10 for a Greek-Turkish journalists’ conference, and will meet with her Turkish counterpart Abdullah Gul on the sidelines of the conference.